Over the past two decades, American foreign aid has given millions of vulnerable people across the world a chance at a better and brighter future. Over 80 million children have received food assistance through initiatives like Feed the Future. Stunted growth, a major development issue caused by malnutrition, has been reduced by nearly 40% in eight countries. Thanks to progress spurred by foreign aid funds, nearly $52 million in investments have brought electricity to people across sub-Saharan Africa. 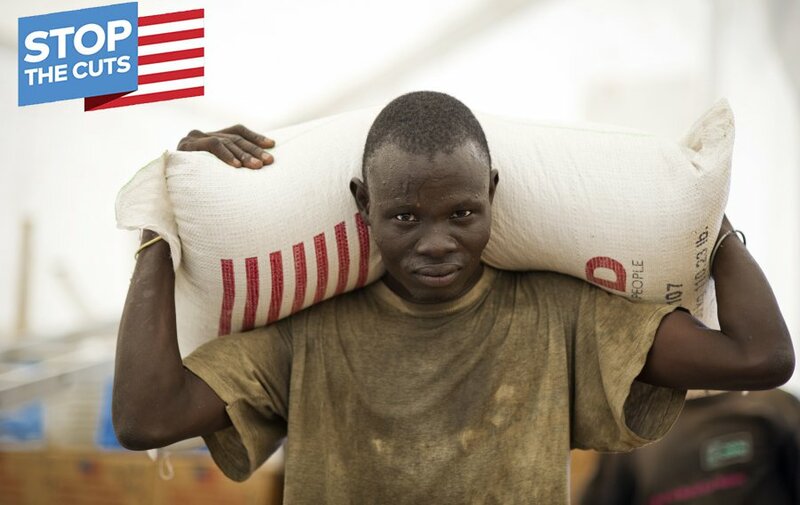 The US is the single biggest country contributor to foreign assistance and the aid it provides is critical to the survival of our fellow global citizens and to the stability and security of the international community. But this year, US foreign aid is being severely threatened. In May, the White House proposed a 32% cut to the international affairs budget. In July, the House of Representatives listened to the hundreds of thousands of voices that spoke out against these disastrous cuts: their budget request called for a 17.2% cut in funding for the international affairs budget. But although the House proposal was a substantial improvement from the initial White House request, it would still be disastrous for the world’s poor. Yesterday in the Senate State, Foreign Operations, and Related Programs Appropriations Subcommittee, the Senate requested a total international affairs budget of $51.2 billion, an increase from the budget level recommended by the House but a significant cut from FY17 enacted funding levels. In 2017, the U.S. provided $59.1 billion in funding for the international affairs budget. For 2018, the House has proposed $48.9 billion and the Senate proposal is for $51.2 billion. Specifically, the Senate requested $14.5 million more than the House for maternal and child health, and matched the House recommendation for nutrition at $125 million. The Senate requested $500 million for international basic education compared to $800 million requested by the House. The House and the Senate each requested $59 million in funding for polio eradication through USAID and $174 million for polio eradication efforts through the CDC. Here at Global Citizen, we recognize the far-reaching, critical impact of foreign aid around the world, and are working hard to protect these funds. Global Citizens have taken 358,077 total actions on foreign aid this year. We are united in the belief that aid saves lives, builds economies, and keeps us safe. Earlier this week, Global Citizen hosted a call with Global Citizens across the country to discuss global food insecurity, poverty, and famine with Pennsylvania Congressman Dwight Evans. Together, our voices are already making a huge difference. But our work is far from over. At Global Citizen, we are continuing to call on Congress to protect full funding for America’s International Affairs Budget. Through our collective mobilization and advocacy, together we have the power to protect foreign aid funding and save the lives of millions.